The Church in Wales fears a mobile dental clinic it has funded for 10 years in Gaza has been caught up in an Israeli missile strike. 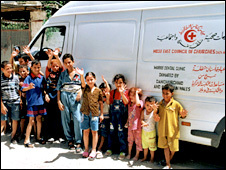 The clinic's van was based at Shij'ia Family Health Care Centre, which was hit by a missile. The clinic had treated casualties in the Israeli offensive against Hamas, which has killed over 900 Palestinians. The Israeli military is understood to be carrying out an investigation into the attack. The health centre, run by the Near East Council of Churches (NECC), was evacuated after a telephone warning gave staff and patients 15 minutes to leave, said Archbishop of Wales Barry Morgan. Dr Morgan, who has visited Gaza twice in previous years, called for an immediate ceasefire to the hostilities, and has written to the Israeli ambassador for an explanation for the attack. 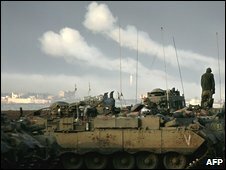 The Church in Wales said a warning shot was then fired at the building followed by a direct hit from missiles fired by an Israeli jet. The missile strike destroyed the building, which the charity Christian Aid said was clearly marked with the insignia of the Red Cross and had ambulances parked outside, and its contents, including hundreds of thousands of pounds of medical equipment. No-one was injured in the attack in the Shujaiya district of Gaza City. The Church in Wales said it was concerned for the "very existence" of the dental clinic, which is funded by its Jubilee Fund. Archdeacon Philip Morris said more than 5,000 people in the mostly Muslim local population were given free dental treatment by the mobile clinic in 2007. He said: "The dental clinic van, with its Welsh red dragon stickers, is a familiar sight in Gaza City, and wherever it parks, men, women and children queue up outside it for treatment. 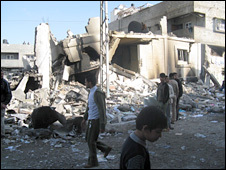 "But now the concern of the Church in Wales is for the very existence of the dental clinic and the offices of the NECC based in the centre of Gaza City and very close to buildings destroyed by air strikes. "Normal life does not exist. People are simply too scared to leave their homes even to seek medical help. These are fears shared by NECC's own staff. Analysis: Where is Israel heading? "Doctors and nurses are travelling to the clinics in marked cars for their safety, despite fears that private cars will be targets for the bombings." 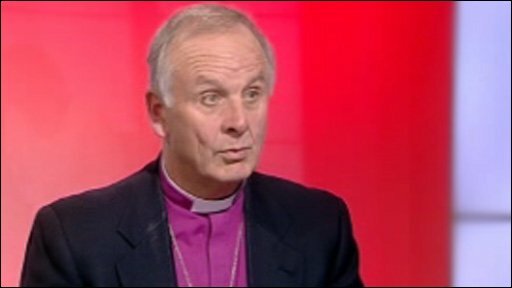 The Archbishop of Wales said: "We find it incomprehensible and tragic that any armed forces anywhere in the world would want to destroy such a building, let alone the state of Israel with all its historic memories of oppression and genocide. "To hear the news that the only health facilities in this part of Gaza have been destroyed, leaving the population of that area without any medical facilities at all, is horrendous. "It does raise questions about the credibility of Israel's values and purposes." Dr Morgan said more than 10,000 families registered at the clinic had lost medical provision and support, adding: "It is hard to understand why Israel would allow, let alone commission, an attack on a facility which provides support mostly to young babies and their mothers. "We have no reason to believe that this building was producing or distributing arms or being used as a base or launch pad for rockets sent into Israel. If there is evidence to the contrary we would like to see it." Israel has said it will not call off its offensive until it has stopped the rocket attacks and prevented arms being smuggling into Gaza. Israeli Defence Minister Ehud Barak said: "We are working towards those two goals while at the same time keeping an eye on the diplomatic initiatives." Diplomatic efforts to achieve a ceasefire are continuing in Cairo. However, the Israeli foreign ministry said there was no guarantee that Hamas - the Palestinian militant group that controls Gaza - will respect any ceasefire agreement.